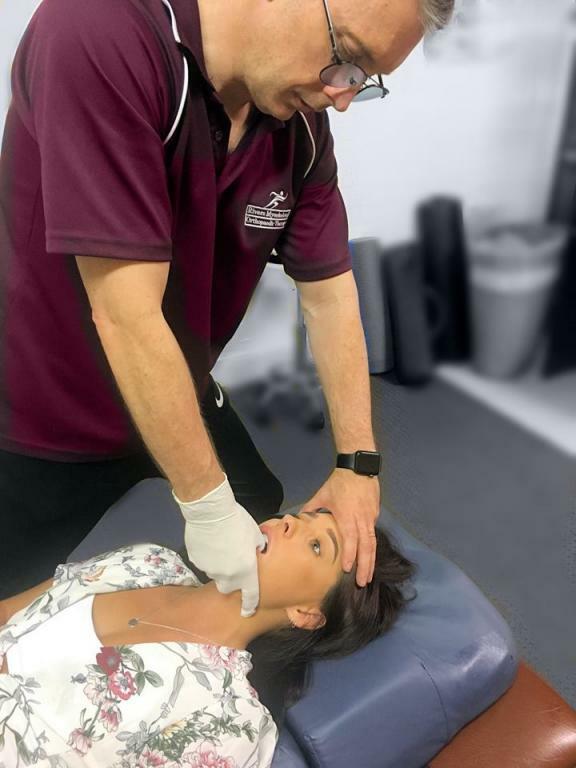 I Just wanted to thank you Deke (Rivers Myoskeletal) and to let you know my Jaw is Soooooo much better, its been such a relief to not feel pain and to actually open my mouth again without shooting pain. My Cheeks, Neck and jaw feel quite tender today but it’s a great feeling, not the constant tension I have felt for the past year…. AMAZING Thank You, Thank You, Thank You. Approximately two years ago I was advised, by my acupuncturist, to seek help from Deke Rivers in relation to my many physical problems. At my first treatment I was astounded at the amount of problems my body was dealing with and also how, after the first treatment onwards, my problems became less and I am more or less pain free now. I continue to receive treatments every three weeks or so to keep on top of my problems. Thank you Deke for your skill and persistence to get to the bottom of my pain issues. I have suffered from a frozen left shoulder for some considerable time which gives me horrible pain down my arm, I have tried many different therapies including a chiropractor, physio etc but they couldn’t help me. I was concerned I may need Surgery until a friend recommended Rivers Myoskeletal and I can honestly say it was the best recommendation I’ve had, in a matter of minutes I could not believe how easily the therapist Deke released my arm as it was very tender to touch but now I can lift my arm to full range without pain, Incredible stuff, I no longer feel the need for surgery and have recently visited Rivers Myoskeletal for another treatment resulting in no pain, I am now doing remedial Exercises on arm to strengthen the tissue and feel great. I highly recommend Rivers Myoskeletal. I have battled with very large bunions for forty five years. My big toe was crossing over the top of my other toes. I was always putting holes on the side of my shoes. Then I discovered “Rivers Myoskeletal” Orthopaedic Therapy. In six months my bunions are gone, also my other ailments relating to bones and muscles. I highly recommend Deke in his “Rivers Myoskeletal” clinic. I have been a fitness and sports fanatic all my life, Rugby League; professional runner – 2 and 4 hundred metres sprinter and tennis player. I now play senior tennis at State and Australian level. I train most days of the week, bicycle riding; running; lifting weight and stretching. I have found that since starting to age my tendons have become ropey and very tight and muscles always stiff and sore, flexibility not the same as when young and feel when I run I could risk an injury. I have been attending Deke’s clinic for the last 12 months and he has helped me so much, I can now run much easier and have my speed back. Players around me have commented on how well I am playing and how much better I am moving around the court. I owe this to Deke’s professional work he has done on me over this time, I feel more supple in the body and all over, and am now more free of injury. I am extremely satisfied with his treatment and have no hesitation in recommending him to other athletes – both young and old. I first saw Deke on the recommendation of my acupuncturist. I had neck and back pain on and off for about 12 months. Over this time I had physiotherapy and chiropractic treatments which sometimes gave me some relief but never really fixed the problem. An MRI scan last year revealed a bulging disc in my neck which was pinching the nerve. My physio, chiro and GP all told me that surgery was a last resort, and the best I could do was to manage the pain with exercise and medication. My GP prescribed anti-inflammatories, painkillers and a mild anti-depressant to control nerve pain. One morning a few months ago I woke up in debilitating pain. I could not move without feeling intense pain. My GP increased my dosage and referred me to a neuro surgeon. I was taking the maximum dosage of 8 x panadeine forte daily and was still in pain. The 10 minute drive to work was painful. Another MRI confirmed the bulging disc diagnosis. The neuro surgeon recommended surgery to remove the disc. I was resigned to this course of action, and started visiting an acupuncturist to see if I could get some natural pain relief until it was time for surgery, and it was her who recommended me to Deke. I'm so grateful that she did. After one session with Deke I cut my daily panadeine forte dosage down to 4. After 3 fortnightly sessions with Deke I stopped painkillers altogether. I've now had 4 sessions with Deke and the only symptoms I now have are very occasional pins & needles in my forearm. My GP is now weaning me off the other medications. I can't recommend Deke highly enough to anyone suffering from back or nerve pain. Late last year I started suffering from chronic head pain. I have never experienced anything like it before, and it just persisted for more than 2 months. There was no medication that could relieve the constant pain, and I just couldn't sleep. Three doctors later I was assessed as having extreme tension in my shoulders and neck, and I was advised to have deep tissue massage. I researched on the Internet and found Deke Rivers. When I first saw Deke he assessed my condition, and due to my stance and posture he knew exactly what to do. He did give deep tissue massage, but more importantly he went to the source of many of my problems by realigning the skeletal structure of my body. • Chiropractors 25 years ago confirmed my right leg was 10mm shorter than my left leg. Not anymore. • Since 1979 due to a broken leg, my right foot has been extremely rotated to the right. Not anymore. • For the last 3 years I thought the pain in my right shoulder was the arthritic condition I inherited from my parents. No it wasn't, Deke fixed that as well. Deke Rivers has made me feel 20 years younger than my 51 years. Thank you Deke. I only wish we had met years ago. Suffering from a bad neck I visited Deke and felt some amazing relief, Deke told me I suffer from a condition called Hyperkyphosis, anyway he did something to my stomach area and then upper back which made me feel taller when he finished, my neck feels great, recommend him highly. I came to Deke’s Orthopaedic Myoskeletal with a painful shoulder injury which he diagnosed after a small test as adhesive capsulitis which I have never heard of before, anyway a few cracks and pops I heard when he did something to my arm and shoulder and I felt something let go a weird feeling however when I moved my arm there was no pain and I could lift my arm all the way up to my head unlike before the treatment when I could only move my arm a fraction of the way, I am glad I went to Deke and will return in the future for more treatments. I suffer from Jaw pain & Teeth Grinding when I sleep at night, saw Rivers Myoskeletal on Natural Therapy pages about TMJ Disorder which sounded like my problem, I booked a consultation with Deke and what a difference that has made, my jaw is the loosest it’s been in years with no pain at present and I haven’t noticed any Teeth grinding at night since the treatment. Excellent Stuff. Went to Rivers Myoskeletal over a problem I have had for years, every night waking up in pain with my shoulder and neck, had to rely on painkillers, Deke was recommended to me by an associate and the best advice I had in years as I no longer wake up in pain or need painkillers, this Myoskeletal is a very unique form of therapy which I have never experienced anything like it before but it really works. Very Happy I met Deke, I suffered from a sprained wrist and my arm was in a lot of pain, Previously I visited the Physio who just rubbed some stuff on and strapped my wrist up but I still had pain, went and saw Deke and I am amazed how much he knew about my problem, he instantly threw away my wrist strap that I got from the physio and told me that’s the last thing I need, then he did something to my shoulder, elbow and wrist which was still in pain, especially when I tried to move it, but to my amazing surprise Deke did something with my wrist and the pain seem to go away, I walked out of there a very happy chappie and can now move my wrist without pain, what more can I say other than I'm rebooking for another treatment in a couple of weeks. 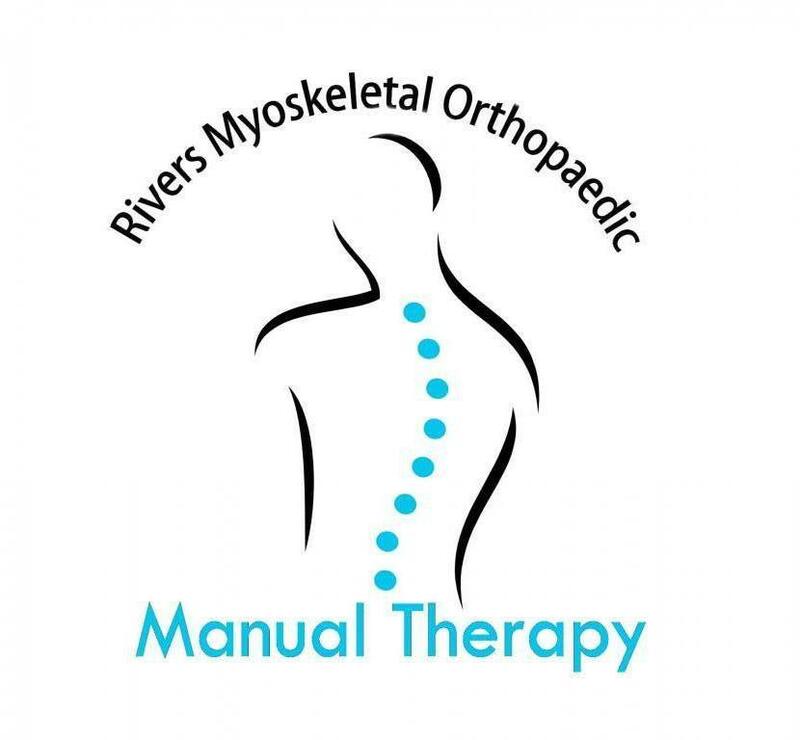 A few years ago I received a hip replacement and ever since suffered pain from my leg which was turning outward, I have tried a chiropractor & Physiotherapist put they didn't help and only seem to aggravate my problem creating me to limp, so I went to Rivers Myoskeletal and noticed after my first treatment no more limping and my foot was no longer turning outward, I'm actually very Impressed with Deke as a therapist, I am 85 years of age and found Deke to be very gentle in treating me, I have had a further 2 treatments from Deke and felt an improvement each time, I no longer have Pain when I walk, very grateful indeed and would recommend him to anyone. For Several years I have suffered from lower back pain when standing for more than a few minutes & suffered terrible neck pain, I have suffered from scoliosis since a child, I have not found relief from various efforts and therapists I have visited over the years, however I have found after visiting Rivers Myoskeletal Wollongong my scoliosis has very much improved, I no longer suffer from pain from standing and my neck is very rarely sore, after strenuous work my recovery is much faster than ever before, I'm very happy with my visits to Rivers Myoskeletal Wollongong and would recommend Deke as a therapist to anyone who suffers like I have. "I previously, for some considerable time, suffered from pain throughout my body and restrictions in my movements with Migraine Headaches and Digestive problems not to mention doses of anxiety. I have been to a Chiropractor and various Massage therapists including Reiki, Deep Tissue, and Remedial including many visits to a Naturopath but to my frustration and expense still suffered from the same problems. I finally found Deke and his Myoskeletal clinic in Bargara, went for my first treatment with a terrible headache and to my astonishment got immediate relief, Deke also told me I had a twist in my pelvis which he quickly fixed, I am so glad I found Deke, after 4 treatments I no longer seem to get headaches, I feel taller and can move my body without pain. I still can't quite believe it, my digestive problems seem to have subsided also, I truly and highly recommend Deke and his Myoskeletal Therapy after what it's done for me I'm sure there's many people out there that need this sort of pain relief therapy. 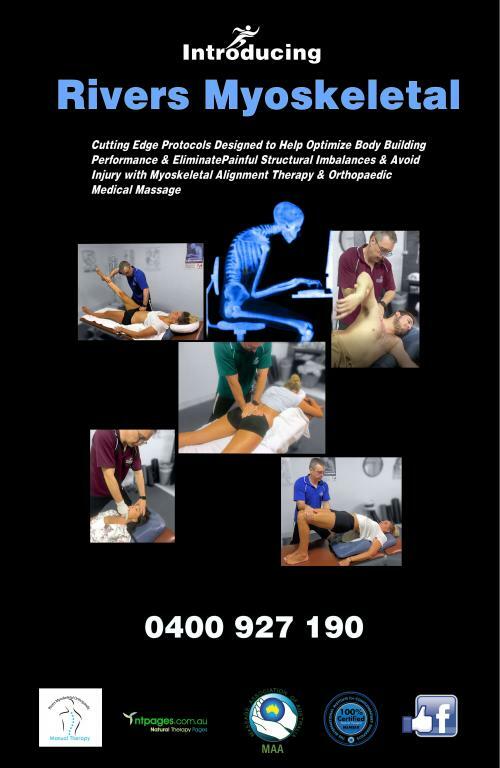 From my personal experience simply put, Myoskeletal Therapy is amazing." 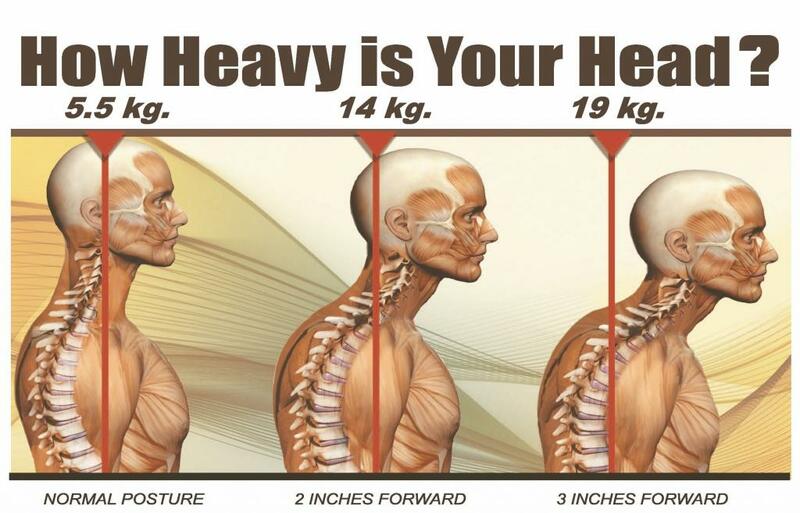 "I am 75 years old with many years of suffering with forward head posture problems, I recently found out my problem has resulted from a condition I never heard of before called Hyperkyphosis in my upper spine and ribs, I have been previously over the years to massage clinics but my problem has never improved, I always worry about the pain and discomfort I get from the massages I have received because some people are very heavy handed with older people, I have also been very self-conscious of my condition. I went to Deke through my daughter's recommendation not expecting much, however to my surprise and amazement I still can't quite believe the difference Deke has made to my life, I actually feel taller after Deke has managed to bring my head back and remarkably straighten my spine just after 4 treatments. I have to mention I find myself feeling very relaxed and comfortable with Deke who takes his work very seriously and in my opinion is very good at what he does. If he can help a 75 year old like myself then he can certainly help younger people, I highly recommend Deke to all who are suffering from similar problems." "18 years ago I had nerve damage to my neck and left shoulder which left me with severe pain until I heard about Deke Rivers and his Myoskeletal Techniques in 2014. After my first visit I had the first night sleep in many years and noticed a remarkable relief from pain. After my third visit I can honestly say that I feel great! A different person. I now visit Deke every few months for a treatment just so I can stay without pain." 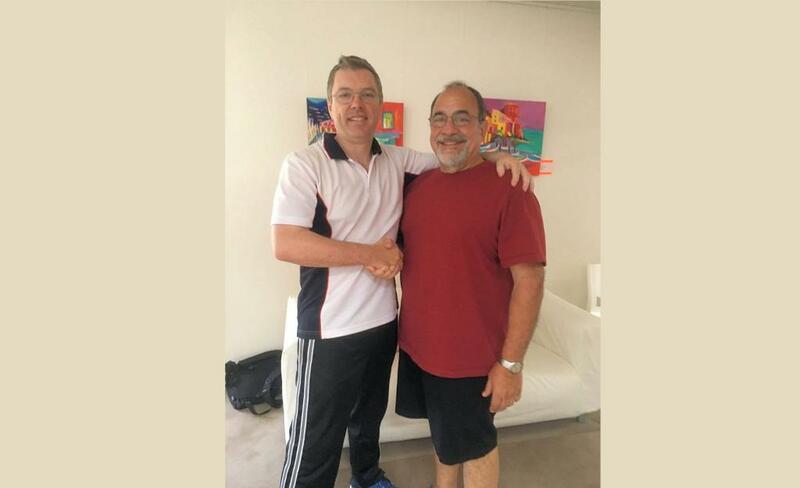 "I have had 3 sessions with Mr Rivers - a Certified Myoskeletal Therapist, based at Bargara, Queensland .With 60 years of age looming I had a mission to be a lot fitter...I was actually feeling 20 years younger when I unfortunately tripped and broke my right shoulder on the 30 June this year. My recovery would be a lot more difficult had I not had the Myoskeletal Alignment. My only problem is my broken shoulder, my hips, joints and lumbar area are physically fine and well able to support my injury. So glad I went to see him and cant stop recommending to others." "I twisted my whole body at work 9 years ago which not only misplaced my muscles and affected my nerves, but it also threw my thyroid, neck etc. out of place. After being to a Chiropractor, Bowen Therapist and other various massage techniques, I came to Deke. His technique helped me tremendously where all else failed. By stretching my muscles it enabled my body to align itself and over time to heal by muscle replacement and consequent correct bone structure. This is only my third visit and I have improved 80% already." "I haven’t been able to sleep without pain for months, due to an infringement in my shoulder that would wake me up each night in chronic pain, I also noticed my left shoulder blade seemed to be sticking out more than my right shoulder blade. I found out about Deke’s Myoskeletal through a friend, after my visit I have noticed my shoulder blade seems normal again, and I have thankfully not woken up in any pain at night since my treatment, I am truly grateful to have found out about Deke and his Myoskeletal and will have more treatments in the near future." "I Visited Deke after someone told me about their relief from neck pain, I suffered from a debilitating hip pain for some considerable time, not being able to move quickly otherwise I felt this grabbing pain in my right side hip that was terrible, I visited a Bowen Practitioner, a doctor who gave pain killers then send me to the physio, but these did not fix my problem, so I tried Myoskeletal, I was unsure if it would work at first, but now I am convinced and I’m telling everyone about Deke. My hip is now free from pain and I can move freely. 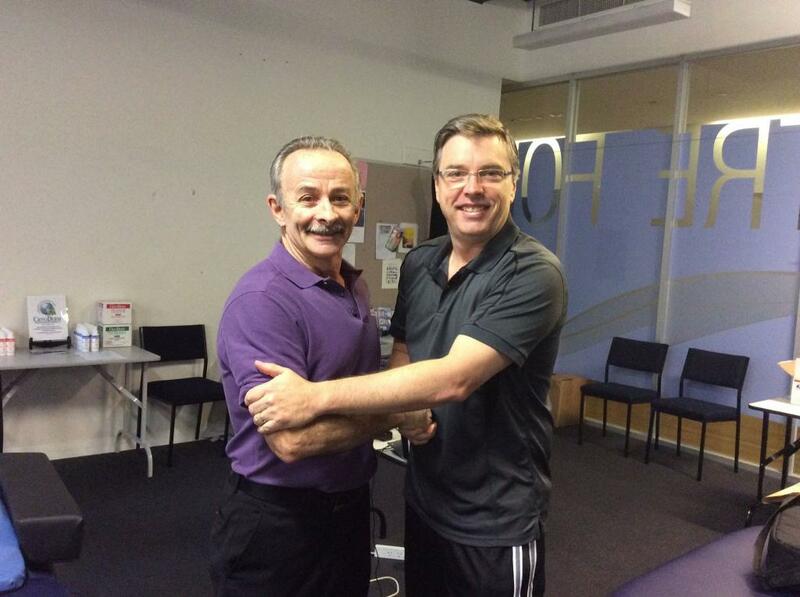 I am very happy thanks to Mr Deke and his Myoskeletal practise." "I have suffered from scoliosis since a child, With bad posture and pain in my shoulder blade, it’s embarrassing when you don’t feel straight, I have spent a fortune on specialists and my doctor told me I might need a pin up my spine for $6000, so I visited Deke and he gave a Myoskeletal treatment after examining my spine, Deke told me I had a functional Scoliosis, I was surprised when I felt my spine straighter in just one treatment and my body felt more level, this felt weird for me as I’m not used to being level. Deke told me I could find it uncomfortable for a day or two later until my body accepts my new position and he was right, but now I feel much better. Deke has given me some great Exercises to maintain my posture and I will visit Deke again for more treatments so my scoliosis can be controlled. All I can say is thank you Deke I know longer feel as self-conscious when I go shopping."